So, the summer holidays are over and it’s back to school. If you went away this summer we hope you had a great time. We’ve certainly given a lot of holidays over the past few months but, as ever, no matter what the time of year there, are always more families that we can help. Ever fancied trying a bit of Zumba, Combat, Pilates, Boxing Fit, Pump or Boot Camp? Well, now’s your chance. The Winners 2000 gym in Paignton is holding an Open Day on Saturday 5th October where anyone can go along and try out some of their classes in special “taster” sessions. They are asking people to pay a £5 suggested donation to the THHN to try one of the classes or pay just £20 and stay all day. As well as the classes there will be an opportunity to meet the instructors, tour the facilities and get some free nutritional advice. We think it’s a great idea and know how friendly all the staff are. Kids are welcome and there will be free childcare available and refreshments available at lunch time, with THHN Director Martin Brook partaking in a Q & A session. So, why not give it a go? Available places at each session are limited so booking is advisable. Simply e-mail sarah@winners2000.co.uk or call Leanne on 01803 524553. You’ll be pleased to know that since we got the keys for this in August our wonderful caravan has already been put to excellent use giving a number of holidays including one to a family from Merseyside who were referred by their GP as well as a family referred by the CLIC Sargent team in Exeter. Since we last reported on the caravan Luke Hayes and his team from Teign Renewables Ltd very kindly PAT tested all the Memory Caravan’s electrical appliances and Medworth Plumbing and Heating Ltd certified all of the gas appliances as well as doing a spot of plumbing there too. 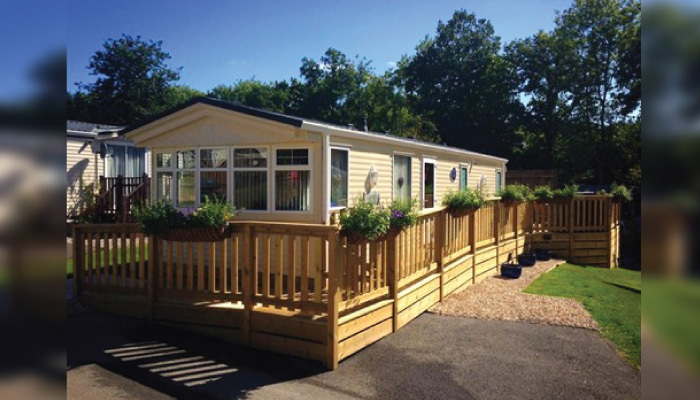 As you know, the caravan is in the gorgeous Finlake Holiday Park and we’re delighted that Finlake Riding Centre is being so supportive of the families staying there. We know the families really appreciate it, so huge thanks to them. The date was Sunday 15 September. The idea was to run from the bottom of Oddicombe Hill to the top. You know there’s a Cliff Railway to do that journey for you? Well, there’s a good reason for that – it’s pretty steep. However, that didn’t stop teams of hardy souls running from bottom to top and paying for the privilege too. The event was organised by our lovely local police and raised a terrific £155.66 for the THHN. You know Luke’s never one to turn down a challenge (within reason!) and thought the least he could do was enter a team which then romped home in a very creditable second place. A very big thank you to all involved and who took part. As we’re sure many of you saw, Luke Tillen was nominated in the Local Hero awards run by ITV Westcountry News with the Daily Mirror. Luke was one of the four finalists and was featured in a lovely film about him and the work that the THHN does. If you didn’t get to see the film use this link It’s an excellent tribute to Luke and, hopefully, served as a great introduction for many people who had never heard of the THHN. Thanks to all those who took part in the film and to Vix for nominating Luke for the award. He didn’t win but it was fantastic to be nominated. The winner was 86 year old Anne Scarfe from Plymouth who is a street pastor, works at two different soup kitchens and helps run a lunch club for homeless people. Fantastic job, Anne! Special thanks to the lovely Claire Manning from ITV for making all involved with the filming feel very comfortable and relaxed. Special thanks too must go to the Jones, Milne and Watt families for allowing ITV to film them. Congratulations to Haddon Galleries who are celebrating being awarded Fine Art Retailer of the Year 2013. Part of their celebrations include putting on a charity event in aid of the THHN. On Saturday 2 November from 2pm to 5.30pm there will be artists painting in the gallery and signing artwork and books. From 7pm onwards the gallery will be open for a celebration event which includes an art auction, raffle and entertainment with drinks and nibbles donated by Waitrose. A percentage of all artwork sold throughout the day, as well as the proceeds from the art auction and raffle, will be donated to THHN. 9 year old Kyle is in training for a mini triathlon that he’ll be doing in October half term all to raise funds for the THHN. Kyle plans to cycle 7 miles, swim 106m followed by a 1.5 mile run! Thank you Kyle, you’re a star! Oh, and good luck!! Saturday 2 November – Art Day as above. Mark Mallen who completed his amazing 12 hour spinning cycle ride at the Torquay Winners 200 gym. It was an impressive feat and he did an incredible job. With onlookers supporting and donating money to guess all sorts of things such as how many calories he burned, how many miles he had cycled etc it was a fun (not for Mark obviously!) way to raise money for the THHN. Harris Pools and Leisure not only did they help out hugely with the hot tub in our Memory Maker Caravan but now they’ve donated £200 from their summer sales to the THHN. Fantastic. With particularly special mention to manager Kris German for all his help and support. Creative Thinking Torbay who invited us to be their guest organisation in September and gave us some brilliant ideas! Hallets the Bakers, Total Produce Devon, Save on Meats, D&H Fisheries, Teddy’s Cakes, Luscombes Butchers of Totnes, Riverford Torbay and South Hams Home Delivery and Over the Rainbow Cake Design for all the delicious delights that went into this month’s THHN hampers. All at Brunel Manor, who were vitally important in the wonderful Alstrom Syndrome UK Families Week event this summer. John and Angela Bunce who battled against the elements at our stand at the Agatha Christie fête in September. Despite some terrible weather they raised £150. The Royal Exeter Hotel in Bournemouth who gave a holiday to a family referred by the Bristol CLIC Sargent team. The Dean Court Vintage Rally who donated £500 from their event earlier this year. Vomero Holiday Apartments who gave a THHN holiday this month. Brunel House at Westlands School who raised a fantastic £126.97 for us. Wonderful Bob Vaughan who has been saving £1 coins in a collection pot and has just donated £182. Bob, you’re a treasure! The Marine Hotel in Paignton who welcomed a family referred by Martin’s House Children’s Hospice. Angels Tea Rooms of Babbacombe who are very kindly sponsoring the new t-shirts which will be given to all the runners who raise money for the THHN. Thanks too for all the cream teas that Angels have been giving our families since we started in 2009 – truly scrumptious. St Marychurch Primary School who offered a selection of Friday treats including hot dogs, chips and cakes, to raise money for us. Bryony Boyce who ran Ealing half marathon for us – fantastic job. Glen Bevan who completed the Dawlish triathlon all to raise funds for the THHN. We now have a dedicated volunteers page on Facebook. If you’re local to Torbay and interested in helping us then please join the volunteers page so that you’ll be right up to date with all the volunteer requests and information.